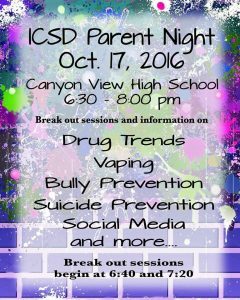 Come to the Iron County School District Parent Night on Monday, October 17, 2016 at Canyon View High School from 6:30 pm to 8:00 pm. 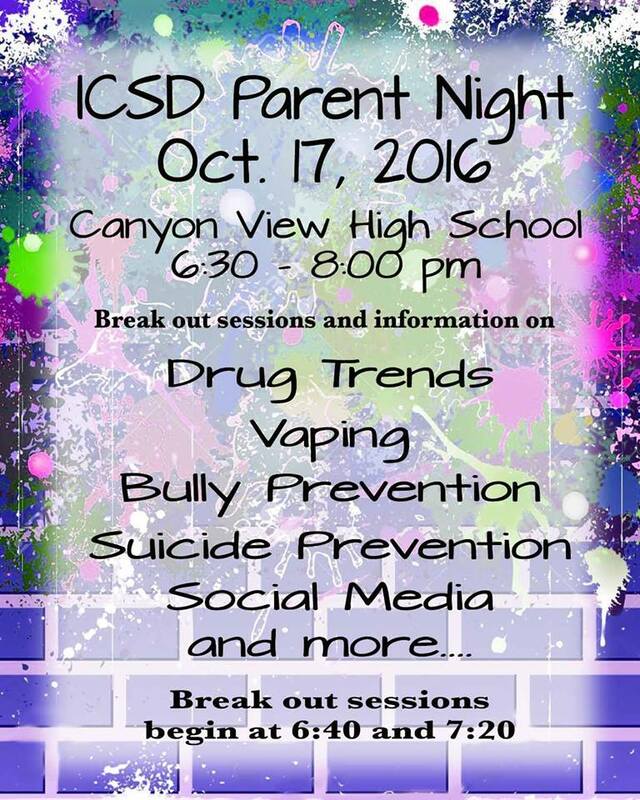 Break out sessions and information on drug trends, vaping, bully prevention, suicide prevention, social media and more. Break out sessions begin at 6:40 and 7:20.